A few years ago I was invited to New York to take part in a discussion about the future redevelopment of Governors Island. If you have never heard of it don’t be surprised-most New Yorkers don’t know it exists either despite the fact it is just 800 metres or so from Manhattan. 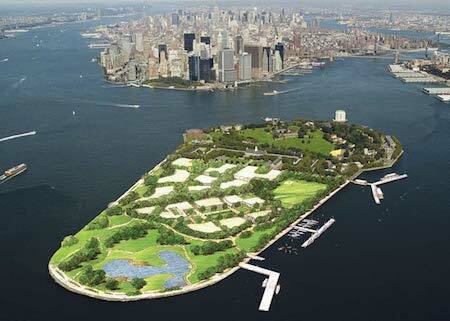 Well it turns out that a decision was made to enlist “West 8” to work on the redesign of Governors Island. In the time since I was in New York visiting Governors Island and discussing its potential, a lot has happened. Most notably in terms of the issue of sustainability was Hurricane Sandy. That one single event imprinted itself on the New York psyche the reality that they too are at risk from massive environmental change. After my visit to Governors Island, I wrote this opinion piece for the New York Society of Urban Designers—I hope it influenced in some small way the choice of West 8’s scheme. When the Dutch came to Governors Island, they saw a land green with promise. To them, America’s pristine forests breathed opportunity. We wonder though, has Governors Island lost its symbolic promise of a better life based on the natural richness of the land? Has America? The pilgrims moved on to Manhattan but the island’s strategic location at the mouth of New York’s harbor made it an ideal military stronghold. The Coast Guard left Governors Island in 1996. Their move ended a string of military stewardships going back to before the British. In fact, the island helped save George Washington and his revolution. The old military buildings here smell of history. They became a national monument in 2001. In 2003, ownership of the Island transferred to the people of the State of New York. It awaits its next great purpose. A few hundred metres away, alone in an occasional drifting fog, stands the Statue of Liberty. Governor Island’s old flint battlements guard this symbolic gateway to America where the poor of the world came in search of opportunity. Instead of a gateway to a land green with promise, the island archipelago of New York now risks becoming a gateway to a nation in environmental decline. Even oil barons know we are at a turning point. The American continent that once nutured dreams of prosperity is in peril. Cities and their users have to change – and they know it. Can we start again – here, where we began? Can we build a sustainable America? The island could be for urban sustainability what Silicon Valley is for high technology – a center where the best and brightest gather to solve complex problems. Imagine the whole of Governors Island as a 21st century laboratory for the development of sustainable cities (and, of course, a sustainable New York). 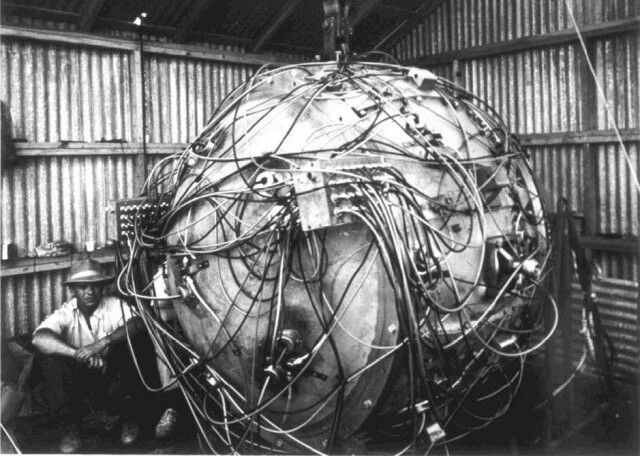 It would house a human enterprise on the scale of the Manhattan Project but dedicated to life not death. There is also the advantage of having the world’s greatest urban test-bed just across the harbor. What would it look like? When urban designers get the job of imagining a Governors Island of the future, they must acknowledge that this is not just another green-field site waiting to be planted with so much architectural stuff. These 172 acres need a grand vision. Santiago Calatrava offers one part of that vision. His scheme for a gondola system connecting the island with Brooklyn and Manhattan is the essence of innovation. In plan, the system looks like a fragile web supporting a pendulum. Maybe, figuratively, it is. Calatrava’s scheme solves the problem of transporting people to and from Brooklyn to the island quickly. It is an essential first step in the adaptive reuse of this tremendous resource. A further step might be to create a special kind of park. 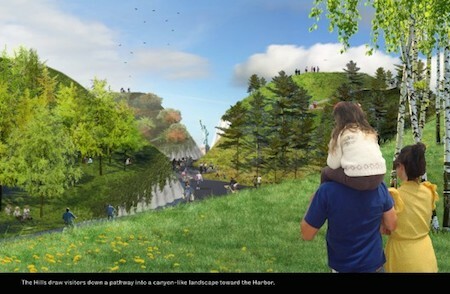 Imagine a place similar in scale to Chicago’s Millennium Park where artists, designers, and researchers create sustainability themed installations. It would be a beacon for international tourism. Many will wonder what a New York hotel designed in consultation with sustainability guru William McDonough might look like. How will the island get its power? What will it do with its waste? How will users get around? Answering these questions will define the place. The island is unique. To trivialize its history and geographical significance by suggesting mundane and predictable urban design solutions would be a disaster. For a host of symbolic and historical reasons the island can represent the best that is America. For centuries, Governors Island was part of a gateway that swept human resources into America. As a sustainability research center, it could export visions of a better future out to the world and might just help improve the lives of everyone, everywhere.